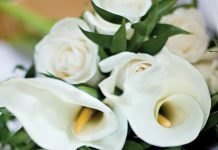 PIEDMONT – Beatrice Griffith Turner, 85, widow of Grady Turner, died Tuesday, February 21, 2012, at the McCall Hospice House. Born in Greenville County, she was a daughter of the late William and Laura Barker Griffith. She was a member of Waycross Baptist Church. Surviving are daughter, Vicky T. Hayes (Samuel), of Greenwood; sons, Henry Michael “Bobby” Turner (Rachel), of Piedmont, and the Rev. William Grady Turner, Sr. (Joyce), of Williamston; six grandchildren; fourteen great-grandchildren; and seven great-great-grandchildren. She was predeceased by a grandson, Timothy Todd Hayes; sisters, Helen and Inez Griffith; and brothers, James, Ralph, Mack and Henry Griffith. Visitation was 7-8:30 p.m. Friday, February 24, 2012, at Gray Mortuary, Pelzer. Funeral services were at 11 a.m. Saturday, February 25, 2012, at the funeral home chapel with the Rev. Ron Suttles and the Rev. William Grady Turner, Sr. officiating. Burial followed at Greenville Memorial Gardens. Family members are at the home of a son, the Rev. William Grady Turner, Sr. and his wife, Joyce, 1704 Anderson Drive, Williamston. Margaret Cochran Vaughn, 87, of Greenville, wife of George Wilkes Vaughn, died Wednesday, February 22, 2012. Born in Hart County, GA, she was the daughter of the late James L. and Carrie Belle Cochran. She was a homemaker and member of Salem United Methodist Church. Surviving, in addition to her husband, are five children, Sara A. Barfield of Pendleton, Mary A. Drake of Piedmont, Wilma A. Gosnell of Easley, Kenneth G. Vaughn of Simpsonville, and Steve F. Vaughn of Pelzer; ten grandchildren; 15 great grandchildren; a brother, Charles Cochran; two sisters, Josie Lee and Mary Bramlett. Funeral service was held Saturday at the Northwest Chapel of Thomas McAfee Funeral Home. Burial followed in Salem United Methodist Church Cemetery. Frances Bailey Holden, 86, of Piedmont, died Wednesday, February 22, 2012 at Greenville Memorial Hospital. Born in Greenville, she was a daughter of the late Robert Bailey and Lula Galloway Bailey and was the widow of Walden Griffin Holden, Sr.
She retired from Brandon Mill and was of the Baptist faith. Surviving are two sons, Walden “Jr.” Griffin Holden, Jr. of Liberty and Robert “Bobby” Holden of Greenville; five daughters, Margaret Stonell of Greenville, Betty Ann Garren of Piedmont, Nancy Garren of Liberty, Vickie Green of Greenville, and Susan Holden of Piedmont; sister, Aretta Smith of Easley; 15 grandchildren; 30 great-grandchildren; and four great-great grandchildren. Funeral services were held Sunday in the Liberty Mortuary Chapel. Burial followed at Norris Cemetery. Hazel Coxie Skelton, 89, of Piedmont, widow of Rev. John Skelton, died Wednesday, February 22, 2012. Born in Moons, she was a daughter of the late Derrick and Mamie Holcombe Coxie. She was a member of Westside Assembly of God in Gastonia, NC. She is survived by a son, John W. Skelton; daughter, Jean Bradley Chitwood; five grandchildren; one step-granddaughter; 11 great-grandchildren; and numerous great-great-grandchildren. Funeral services were held Feb. 25 at Thomas McAfee Funeral Home, Northwest. Burial followed in Hollywood Cemetery in Gastonia, NC. Memorials may be made to Heartland Hospice, 421 Southeast Main Street, Suite 100, Simpsonville, SC 29681. Eva Nell Richey, 84, of Anderson, died Saturday, February 25, 2012 at the Countryside Village in Easley. Born in Anderson, she was a daughter of the late James Victor Hugo and the late Florrie Ann Stamps Smith. She was married to the late Jerry M. Richey. She was of the Baptist faith. Surviving are two sons, Terry Richey and Tony Richey, both of Anderson; brother, Joe Smith of Anderson and a sister, Dorothy Alverson of Pelzer; six grandchildren; and five great-grandchildren. A graveside service was held February 27 at New Silver Brook Cemetery in Anderson. Memorials may be made to Southern Care, 6000 Pelham Road, Suite B, Greenville, SC 29615. Frances Vaughn Ellison, 86, widow of Calvin Ellison, formerly of Belton, died Thursday, Feb. 23, 2012 at University Place Nursing Home in Charlotte, NC. Born in Belton, she was the daughter of the late Roy and Willie Mauldin Vaughn. She was a member of First Baptist Church. Surviving are a daughter, Elaine McClellion of Charlotte, NC; sisters, Virginia Fisher of Columbia, and JoAnn Gilreath of Williamston; five grandchildren; nine great-grandchildren; and one great-great-grandchild. Graveside service was held Sunday at Forest Lawn Memorial Park. Furman “Shorty” Ralph Fields, 81, of Belton, died Thursday, February 23, 2012 at Greenville Memorial Hospital. Born in Williamston, he was the son of the late Willie “Bill” Fields and “Evie” Campbell Fields. He retired from the Abbeville Milliken plant and was a member of Mt. Bethel Baptist Church. He is survived by his wife, Elsie McGaha Fields; sons, Ben Fields and Wayne Fields, both of Anderson; two grandchildren; three great-grandchildren; brothers, Marshall Fields of Iva, Odell Fields of Westminster; sisters, Florence Clark, Johnnie Taylor, both of Anderson, and Nadine Purdy of Iva. Funeral service was held February 25 in the funeral home chapel of McDougald Funeral Home. Interment followed at the Mt. Bethel Baptist Church Cemetery. Memorials may be made to the Lighthouse Christian Camp, 205 Serenity Place, Smithville, TN 37166. Garrison Smith Heydrich, 57 of Anderson, died February 21, 2012. He was retired from law enforcement. He is survived by three daughters, Kristin Heydrich of Pendleton, Brittany Heydrich Mayben of Anderson, and Angela Nations of Piedmont; and three grandchildren. William Edward “Ed” Sanders, 74, of Gray Court, husband of Betty Sue Norris Sanders, died Thursday, February 23, 2012 at the Hospice House of Laurens County. Born in Greenville, he was a son of the late William Rufus and Opal Pauline Fowler Sanders. He retired from Winn-Dixie. In addition to his wife, he is survived by daughters, Myra Sanders of Gray Court and Barbara Hodge of Greenville; sons, Jackie Sanders of Greenville and Roy Sanders of Gray Court; brothers, Oliver Sanders of Travelers Rest and David Sanders of Williamston; sister, Nolla Manley of Greenville; three grandchildren; and four great-grandchildren. Visitation will be 3-5 p.m. Sunday, Feb. 26 at Gray Mortuary, Pelzer. The family is at the home of a daughter, Myra Sanders, 105 Woodford Place Court, Gray Court. Herbert Blake Mitchell, 88, of Piedmont, died Sunday, February 26, 2012 at St. Francis Hospital in Greenville. Born in Anderson County, he was a son of the late Willie D. Mitchell and the late Daisy Howell Mitchell. He was married to the late Margaret L. Mitchell. Surviving are nine children; two brothers; one sister; 12 grandchildren; 22 great-grandchildren; and five great-great-grandchildren. Funeral services were held Feb. 29 in the chapel of The McDougald Funeral Home. Memorials may be made to the West Gantt First Baptist Church, 1452 White Horse Road, Greenville, SC 29605. Samuel “Sammy” Decal Tinsley, III, 53, of Piedmont, died Monday, February 27, 2012. Born in Greenville, he was the son of Samuel Decal, Jr., and Sylvia Jean Vinson Tinsley, of Piedmont, and was an employee of The Reynolds Company. In addition to his parents, he is survived by daughter, Stephanie Tinsley Beddingfield of Easley; son, Ellis Tinsley of Piedmont; sisters, Darlene Gordon and Dana Mason, both of Piedmont; and two grandchildren. Visitation will be 2-4 p.m. Friday, March 2, 2012, at Gray Mortuary, Pelzer. Funeral services will follow at 4 p.m. Friday at the funeral home chapel. The family is at 100 Hollywood Drive, Piedmont. Deborah Ann Yates died Saturday, February 25, 2012 at Greenville Memorial Hospital. Daughter of Alfred Miller of Simpsonville and the late Mary Sue Miller, she was a member of Everlasting Covenant Church. Surviving are two daughters, Brenda Worley of Greenville and Dana Yates of Piedmont; two sisters, Brenda Yates of Anderson and Darlene King of Simpsonville; and seven grandchildren. Funeral service was held Feb. 29 at Everlasting Covenant Church. Burial followed in Graceland East Cemetery.